UK regulators have laid the groundwork for the regulation of cryptoassets and distributed ledger technology (DLT), such as blockchain, with the publication of a long-awaited report. The HM Treasury-led Cryptoasset Taskforce report, published on Monday (30 October), focusses on consumer protection concerns linked to the use of cryptocurrencies, but also outlines how regulation could support innovation and competition. By the end of 2018 the taskforce, which is comprised of the Treasury, the Bank of England and the Financial Conduct Authority (FCA), will clarify which cryptocurrencies fall within existing regulatory standards and, for those that do not, where regulatory standards must be extended. Perhaps most significantly, the taskforce will publish a consultation by the first quarter of 2019 which will seek to impose a potential complete prohibition of the sale of crypto-referencing derivatives to retail consumers, including CFDs, futures, options and transferrable securities. Derivatives referencing cryptoassets that qualify as securities would not fall under this prohibition, but remain subject to ESMA’s temporary restriction and any future proposals by the FCA to propose permanent measures regarding the sale of these instruments to retail investors. Meanwhile, a separate consultation, expected to be published at the same time, will further explore whether and how exchange tokens, such as Bitcoin, and related firms such as exchanges and wallet providers, could be regulated effectively. To combat the threat of crypto-derived crime, the taskforce said, the UK will also develop a “robust regulatory response” which intends to go “significantly beyond” the requirements set out in the Fifth EU Anti-Money Laundering Directive, in what it describes as “one of the most comprehensive responses globally to the use of cryptoassets for illicit activities”. With regard to DLT, the report said that while it is in its early stages, it has “the potential to deliver significant benefits in financial services and other sectors in the future, and all three authorities will continue to support its development”. 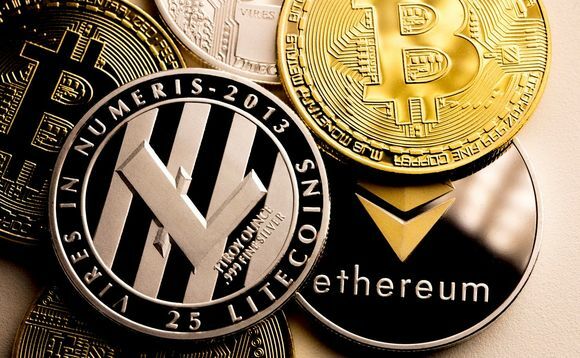 By contrast, “there is limited evidence of the current generation of cryptoassets delivering benefits, but this is a rapidly developing market and benefits may arise in the future”. Lorraine Johnston, regulatory counsel at law firm Ashurst, said it is clear the taskforce is “at pains to distinguish the benefits of DLT and the issues surrounding cryptoassets”. She added: “The authors are [also] surprisingly supportive of the benefits that initial coin offerings (ICOs) present to the market but the taskforce is mindful that as a capital raising tool they should perhaps be caught in the regulatory net. Meanwhile, chair of the UK’s first crypto trade body CryptoUK, Iqbal Gandham welcomed the report, adding the taskforce was right to “focus on the need for regulation of cryptoassets to support innovation, competition and consumer protection”. He said: “This builds on the CryptoUK’s approach and the robust Code of Conduct tp which all our members sign up. “We are pleased that today’s report announces a Treasury consultation on bringing cryptoassets within the regulatory perimeter of the FCA. Previous: Previous post: Could Blockchain Innovations Improve Latency And Inefficiency In Banking?